Japan's Defence Minister Itsunori Onodera said on Saturday it was important not to reward North Korea for only agreeing to dialog and it must take concrete action to dismantle all of its nuclear and ballistic missile programs. His South Korean counterpart urged support for dialog to help North Korea join the international community, saying its leader Kim Jong Un must be given the benefit of the doubt. The apparent divergence of views between the U.S. allies come ahead of a planned summit between Kim and U.S. President Donald Trump on June 12 in Singapore to discuss ending the North's nuclear weapons program. Speaking at the Shangri-la Dialogue security forum in Singapore, Onodera said North Korea had entered into agreements to end its nuclear program in the past only to conduct more activities to further their weapons development. "In light of how North Korea behaved in the past, it is important not to reward it for agreeing to have dialog," Onodera said. The only way to bring peace was to ensure North Korea takes concrete action to end all nuclear programs and the development of ballistic missiles of all ranges, he said. North Korea in 1994 and 2005 signed agreements to end its nuclear weapons program in return for diplomatic and economic rewards, but it went on to conduct the first of its six nuclear tests in 2006, bringing about a series of U.N. sanctions. 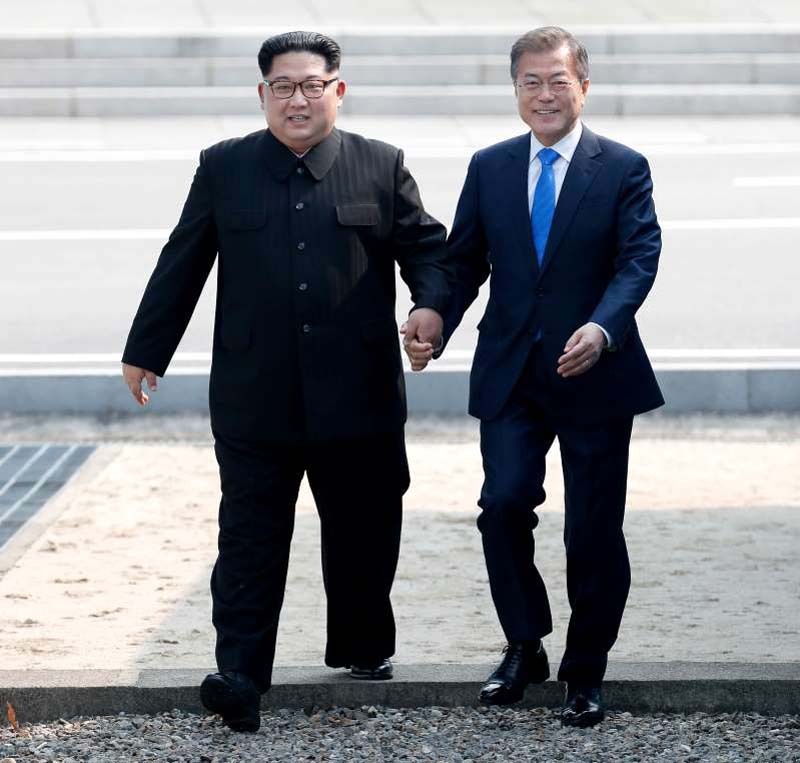 The South Korean government of liberal President Moon Jae-in has made it a top priority to engage the North in dialog to resolve decades-old animosity and bring lasting peace, publicly pledging it would never pursue the collapse of its neighbor. South Korea's defense minister, Song Young-moo, said he recognized there was debate about the extent of the nuclear disarmament that Kim should be made to agree to, but if the focus was on disagreement and not on the way forward, dialog would never make progress. "But there must be CVID (complete, verifiable and irreversible dismantlement), and it must be enforced, and I believe Kim Jong Un will embrace it," Song told the forum.